While the actual status of born Tibetan citizens of India still remains unresolved despite a High Court ruling in their favour in 2010 and the response of the Tibetan people, still yearning for their lost homeland, to the Feb 2014 Election Commission of India’s clearance for their registration as voters in compliance therewith has been far from enthusiastic, the larger issue of Tibet is still not being properly addressed or understood in India, writes Tenzin Tsundue*. I’m India’s dog; whenever Chinese Top leaders come visiting India, Indian police detain me in Dharamshala fearing I might pull off another building climb protest stunt that already embarrassed two Chinese premiers in Bombay and Bangalore. India wants to trade with China but quietly nurtures a dream of having Tibet once again in the Himalayas instead of China. On the morning of May 7, as Himachal Pradesh went to the polls, I watched my friend Tashi vote in an Indian general election for the first time in his life. Brushing shoulders with local Gaddis, Ranas and Chaudhrys he emerged from the booth triumphantly showing me his Tibetan index finger with its indelible ink mark. Suddenly he seemed to have been washed of all his sins; the identity crisis of being born in India, but to a Tibetan refugee family which made him a foreigner by birth. Tashi had made history for Tibetans in India. How did he become a citizen overnight? Since the Election Commissioner made the announcement on February 7 2014 that Tibetans in India could vote, debates have been raging at Tibetan community meetings and on social media sites. While the Pragmatics argued for the benefits of citizenship until we return to Tibet, the Idealists like me, vehemently opposed it, reasoning that it would undermine Tibetan nationality, and our legal, historical and basic moral claims over Tibet. The debate started with one young girl, Namgyal Dolkar. She took the Delhi Passport Office to the High Court for not issuing her a passport, quoting Indian Citizenship Law section 3 (1) (a) of the Citizenship Act 1955 – “anyone born in India between 26th January 1950 to 1st July 1987 are natural citizens of India”. After battling for a passport for five years she finally won the case on December 22, 2010, thereby establishing a precedent. At the height of Beijing’s 2008 Olympics, Himachal police arrested and charged me as a foreigner for being absent from Dharamshala for over 14 days without registering my departure. They jailed me for 11 days, confiscated my ID card and charged me under section 14(c) of the Foreigners Registration Act 1946. By applying this regulation – applicable to foreign tourists – every second Tibetan like me, born in India, is rendered a potential criminal. It took two years and 22 trips to the Mandi District Court before I was found innocent and acquitted. Tibetans feared that if they voted in this election their Foreigner’s Registration Card (RC) would be revoked. This annually-renewed document which establishes Tibetan identity has been procedurally issue by India at individual application, making every Tibetan a foreigner. But the Dharamshala District Collector did not demand RCs; he checked the certificates showing they were born before July 1 1987. On May 7, 217 Tibetans out of the 14,000 living in Dharamshala trailed to the polling booths hiding their faces in apparent guilt at surrendering their Tibetan identity. Tashi went in a foreigner and came out a citizen, his RC still safe in his chest pocket. The foreigner became a citizen. The stateless found a country. So what is the legal status of Tibetans in India now? Are the voters citizens now? Will the voters lose their RCs? Can we avail government jobs? Own a house after 55 years of exile? And not be stopped at the airport and asked to explain the non-descript yellow book, our Identity Certificate that most Indian officials have never seen?Will the 7000 “Special Frontier Force” Tibetans in the Indian Army, heroes of the Bangladesh and Kargil wars, now have equal promotions and pensions as Indians? Since the Election Commissioner’s announcement has been challenged by the Ministry of Home Affairs, Tibetans are dazed in the “hum aapke hain kaun” moment? Tibetan voters are not just refugees, they include Indian citizens of Tibetan descend who have been living in India for centuries along the Himalayas; the Bhutias of Gangtok, Kalimpong and Darjeeling, the Khampas of Kumaon and Garwhal, and those from Manali and Simla who run the famous ‘Tibetan Market’ on New Delhi’s Janpath road. Since India is not a signatory to the 1951 International refugee law, the one lakh Tibetans living in India are technically foreigners though sentimentally we call ourselves refugees. Never in the past 55 years has India pressured or coerced Tibetans to integrate. The visionary work of HH the Dalai Lama, supported by India, helped Tibetans preserve their identity by nurturing a deep sense of culture, history and heritage in the young. For this Tibetans remain ever grateful. It is magnanimous on the part of India to now offer citizenship to Tibetans. Whether anyone takes this constitutional right and to be or not to be an Indian citizen is an individual choice. Tibet, being the bone of contention in the Sino-Indian relations, Tibetan refugees are a strategic leverage for India against China, so are the Dalai Lama, the Karmapa and the Tibetan government in exile. The daily acts of resistance by the six million Tibetans in Tibet protects India more than all its border military can do along the 4075km Himalayan border. But most Indians have no idea about it; they do not even know that a seven-thousand strong Tibetan soldiers trained in the paramilitary combat man some of the most difficult snow mountain borders, like the Siachin Glacier as no Indian textbook talks about Tibet. 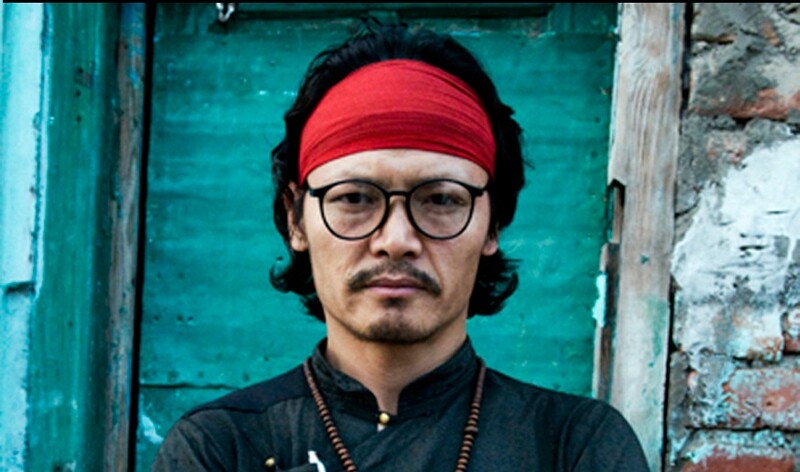 Good piece, I was born in India of a father from Lhasa and a mother from Darjeeling ( Bhotia and yes, culturally Tibetan for those who are from the pure blood school, which reared its ugly head in the Tibetan Parliament recently…I note that Tibetans in the West take citizenship of the countries that they are settled in with no comments..Had we stayed in India, I have no doubt that I would have proudly taken Indian citizenship. Would this have made me less of a Tibetan? It is complex issue that needs airing sans the usual pyrotechnics. As a Canadian ( since 1977) of Tibetan origin, I am able to lobby Ottawa as a citizen on issues of relevance to Tibet and Tibetans. I enjoy the full spectrum of Rights that accrue to me as a citizen of this country and I am also free to criticize government policies also, we contribute to the diversity and cultural fabric of a liberal democracy within the framework of a constitutional monarchy. A mix that works for us. Is that too much to ask of our nascent democracy…?